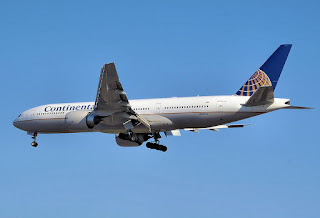 The captain of Continental Airlines Flight 61, a 777 en route from Brussels to Newark, died while the aircraft was in flight over the Atlantic. The captain was replaced by a reserve first officer and the crew declared an emergency. The aircraft landed without further incident. There were 247 passengers on board, and there were no other injuries to passengers or crew. Early reports indicate that the captain, who apparently died of natural causes, was removed from the cockpit and placed in the crew rest area. The airline stated that the crew of this flight included the captain and two first officers, this extra flight crew member is required by the FAA for longer flights such as this one. The airline reported that the captain was 60 years old and had been with the airline for 32 years. Coincidentally the FAA changed the rules in December 2007 to raise the mandatory retirement age from 60 to 65 to fly large passenger aircraft. This rule change was consistent with a 2006 ICAO regulation change that also changed the mandatory retirement age to 65. This is the third safety related event in the last 12 months for Continental. In December 2008, Continental Flight 1404 crashed in on takeoff in Denver and was destroyed by fire. None of the passengers or crew were seriously injured. In February 2009, Continental Connection Flight 3407 crashed near Buffalo during approach, killing all 49 passengers and crew members, as well as one person on the ground. The last significant safety event for the 777 was a January 2008 crash of British Airways Flight 38 in London. None of the 16 crew members or 136 passengers were killed. Flight crew members dying or becoming incapacitated in flight are rare events. One recent incident of note was another transatlantic flight, this one a January 2008 Air Canada 767 flight from Toronto to London where the first officer had to be physically removed from the aircraft due to erratic behavior. Note: An earlier version of this post mistakenly identified the incapacitated Air Canada flight crew member as the captain. "One recent incident of note was another transatlantic flight, this one a January 2008 Air Canada 767 flight from Toronto to London where the captain had to be physically removed from the aircraft due to erratic behavior." I highlighted the word in question. Several other news reports identify the crewmember as second in command. I'm an older pilot. I'd like your readers to know that it's not always the old guy who becomes incapacitated.